We have seen lots of leaked photos of the new HTC Droid DNA over the last few weeks, and now HTC and Verizon have made the device official and we have full details on this new HTC Android smartphone for Verizon Wireless. 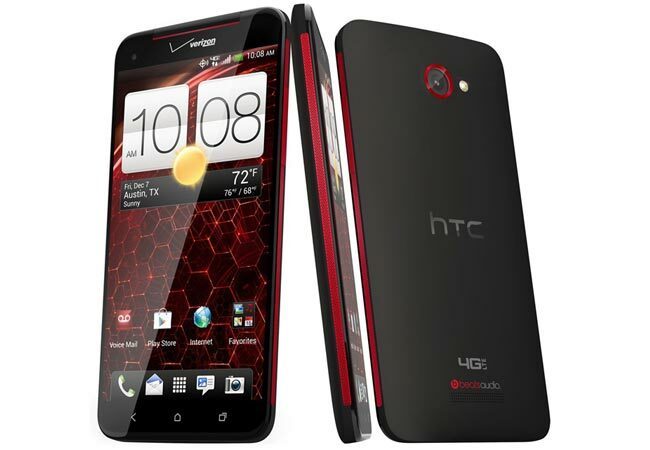 The HTC Droid DNA features a 5 inch Full HD display with a resolution of 1920 x 1080p and 440ppi, processing is provided by a quad core Qualcomm Snapdragon S4 Pro processor, clocked at 1.5GHz. Other specifications on the Droid DNA include 2GB of RAM and 16GB of built in storage, and the device comes with Android 4.1.1 Jelly Bean and HTC Sense 4+, there is also Bluetooth and NFC. The HTC Droid DNA features dual cameras, up front we have a 2.1 megapixel ultra wide angle camera for video chat, on the back we have an 8 megapixel camera with a f2.0 lens. The Droid DNA will land on Verizon Wireless on the 21st of November, and it will set you back $199.99 when you sign up to a two year contract with the carrier, you can find out more details over at Verizon.